Many people think of kidney disease and think of more commonly publicized medical causes such as high blood pressure, diabetes or inherited disorders such as polycystic kidney disease. However, it is important to know that there are a group of causes of kidney disease and kidney failure that are likely under recognized by the public, under diagnosed by doctors and most likely, a bigger public health problem than currently appreciated. These under recognized causes are toxins and other exposures in the natural and occupational environment. These exposures may occur through what we eat, drink, breath or put on our skin knowingly or unknowingly. An appreciation of these causes of kidney disease along with the more commonly known causes is important to enable early identification and management before kidney impairment becomes advanced and irreversible. 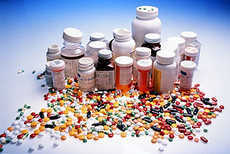 A commonly overlooked and easily preventable cause of kidney disease is kidney disease due to exposure to expired drugs. One of the most commonly implicated medications that cause kidney disease when expired are the tetracycline family of drugs. When expired, tetracyclines breakdown and produce chemicals that are toxic to the kidney and make it malfunction. In general, if the color, taste or smell of a drug has changed, if a medication has been in an open, warm and damp place for a long time or if the label shows the medication has expired, THROW the medication away and get a new prescription. Expired drugs are harmful. A commonly used antibiotic, tetracycline can be harmful when expired as some of the breakdown products can damage the kidney. This is an under recognized occupational and environmental hazard that has certainly been associated with kidney disease. Lead that is contained in petrol, paints and batteries over even a few years can accumulate to high levels in the body and cause several problems ranging from nerve damage to kidney damage. Lead exposure is also common among people that work in precious metal mines such as gold mines. Artisanal miners extract the gold from lead-rich ores, many grinding them in flour mills, which creates lead dust. The gold and lead laden dust then mixes with the soil and increased levels of lead have then been identified local foods grown in the area of such activity. Adding to the concern, miners also use mercury, another contaminant harmful to the kidney, to bind with the gold and increase mining yields. 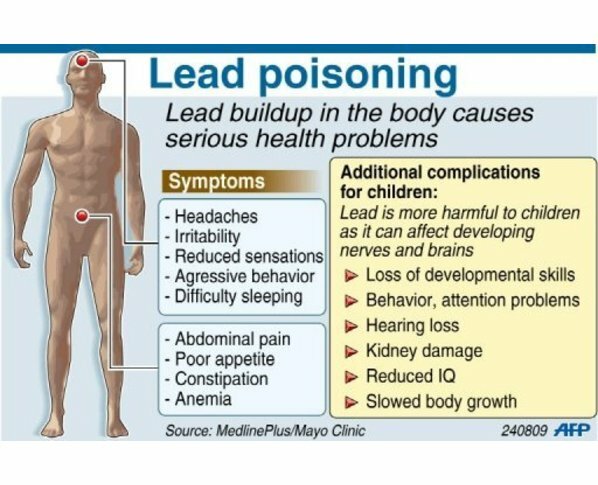 For a report on the documented risk of exposure to lead and other heavy metal poisonings due to pollution that are capable of causing kidney failure in Nigeria, read the an excellent article by Galadima and Garba from the Ahmadu Bello University in Nigeria here. Excessive amounts of copper and chromium have also been clearly implicated as causes of kidney disease. The leather tanning and processing business in the norther parts of Nigeria has been identified as a source of such heavy metal exposure. The waste water used in processing the leather skins is known to contain levels of copper, chromium and other metals well in excess of toxic levels and the sludge or waste water is commonly drained and spread on soils including farmlands. The heavy metals then can also leach into sources of water used for farming, drinking, washing and bathing. Indeed elevated levels of copper and other toxic substances have been found in rice and other cereals in leather tanning areas as documented in this report by Tudunwada, Essiet and Mohammed here. When acidic foods are cooked in unlined copper cookware, or in lined cookware where the lining has worn through, toxic amounts of copper can leach into the foods being cooked. This effect is exacerbated if the copper in the pots and pans has corroded, creating reactive copper salts. Actual cooking may not be required for copper to leach into acidic liquids if they are stored in copper for a period of time. Many countries prohibit or restrict the sale of unlined copper cookware. Copper oxide glaze on cups used for hot liquid might also be a concern, as well as copper pipes for conveying water to the home. Copper poisoning is not uncommon among people working with tanning solutions in the leather industry. 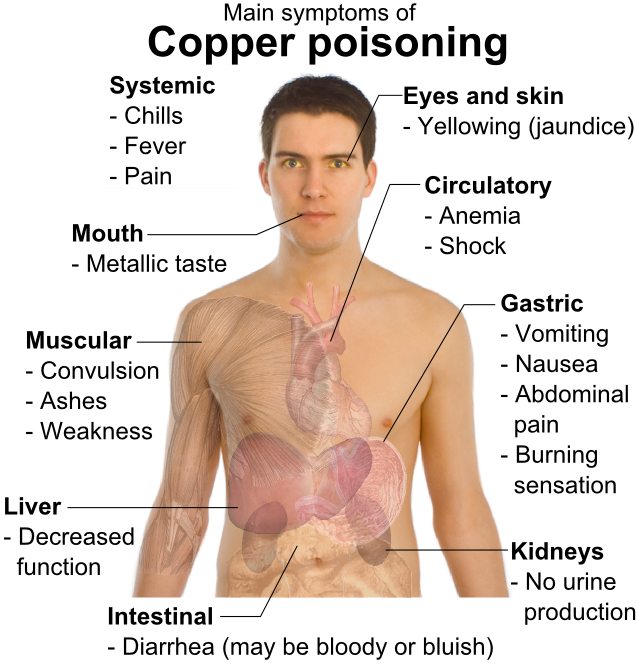 However, the more common cause of copper toxicity might be with the use of unlined, poor quality copper pots and pans used as cookware. Copper is a good conductor of heat and has been used for many years for making pots and pans. Mercury exposure may also go unrecognized in people who use mercury containing skin lightening/bleaching products. In the United States and Europe, mercury containing cosmetics are no longer permitted for sale but a number of such products are still widely available and sold in Nigeria. In one survey, up to 77% of Nigerian women reported use of a skin lightening product regularly. The recommendation is to always carefully look at the ingredients for cosmetics and avoid purchase of mercury containing products. For more information on the magnitude of the problem of mercury in cosmetics, read a World Health Organization report that covers the issues in Nigeria as well here. Mercury can cause kidney problems and is a common component of cosmetics and flourescent bulbs. 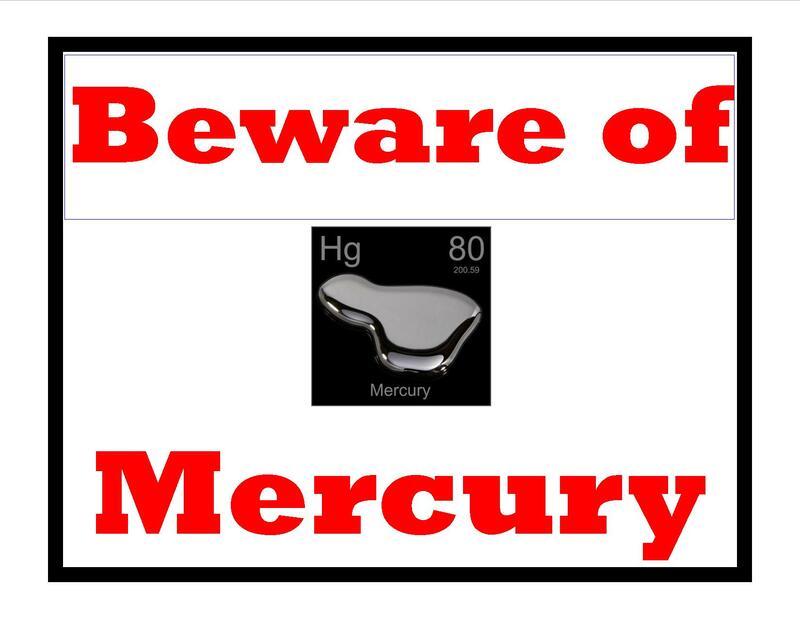 The more common source of mercury poisoning is with use of mercury based cosmetics. While venomous snake and insect bites are easily recognized, they may not be as readily identified as causes of kidney disease usually presenting in the form of acute kidney failure. The poisons (venom) from snakes and insects that cause kidney failure usually do not have a direct effect on the kidney but an indirect one though toxic effect on the muscle and red blood cells where heme pigment in the form of myoglobin or hemoglobin can be released in massive amounts and cause toxic damage to the kidneys. The treatment for kidney failure due to snake and insect bites is usually supportive in nature and focused on maintaining blood pressure, flushing the kidneys and making as soluble as possible any other substances such as hemoglobin or myoglobin so that they are not as toxic to the kidneys. Anti-venom medications are not widely available in Nigeria and even where available often are specific to a specific kind of snake or insect bite. An interesting paper on the epidemiology and management of snake related bites in Nigeria is published by A. Habib from the Bayero University in Kano and can be accessed here. Not all herbal medications are harmful and a number are clearly beneficial in some circumstances. However, a number of herbal remedies including mushrooms contain certain poisonous chemicals and in the wrong clinical circumstance can cause or worsen kidney diseaseeven irreversibly. Kadiri and colleages in a paper published in the African Journal of medical sciences over 20 years ago estimated that traditional herbal remedies were responsible for about 1 in every 3 cases of sudden kidney failure presenting to the University College hospital Ibadan (access link to abstract of paper here). A paper by A. Mustapha from Nassarawa state university (access here) showed how commonly used one of many traditional herbs are and likely reasons for such even though the hazards were not discussed. The kidneys are especially vulnerable to the side effects of such toxins from traditional herbal medicines because of the large blood supply to the kidneys. For example a number of traditional herbal medicines in African contain Securidaca longepedunculata (containing saponin and methylsalicylate), Euphoria matabelensis (containing latex), Crotalaria laburnifolia (contains hepatonephrotoxic alkaloids), Callilepsis lauereola or Cape aloes. Securidaca longepedunculata (violet tree) for instance is commonly found in Nigerian herbal mixtures and has been used for the treatment of numerous ailments ranging from abortion, cough and pneumonia to protection from withcraft, “sexual boosting” and tooth aches. 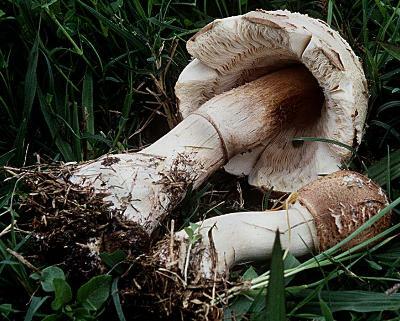 A mushroom called Amanita smithiana contains an acid that can cause kidney damage within hours. This mushroom has on occasion been mistaken as an edible mushroom and caused trouble for the unsuspecting recipient. What is under appreciated with herbs like this and the others mentioned is that in many circumstances they cause sudden kidney cell death or raise blood pressure. Traditional herbal medications. Mushrooms are a common component of many traditional medicinal remedies. While many mushrooms may be useful and are edible, a number of mushrooms and other herbs are known to be harmful and can cause kidney problems. Is a common component of pesticides used in farms in Nigeria and other developing countries. It is a known environmental cause of sudden kidney failure and know to even cause death. For access to a full length paper describing paraquat toxicity and its mode of action in some commonly consumed vegetables in Abeokuta, Nigeria, click here. A paper reporting a 5 years experience of of a local hospital in India (access here) reported kidney failure as the most common feature of paraquat poisoning as well. 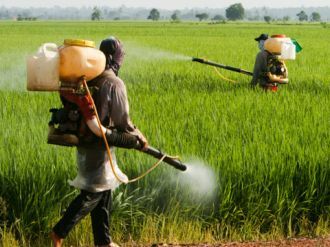 Paraquat is a chemical used in pesticides commonly used on farms and is known to cause kidney disease and even kidney failure. This is by no means meant to be an exhaustive discussion of these environmental hazards with an impact on the kidney. The post is meant to raise awareness of the rather common environmental exposures we all may be unaware of that can lead to significant problems for individuals, their families and the community. Nothing substitutes for attention to what we eat, drink, breath or put on our skin and advocacy for strict regulation where possible is important.